Here I am interviewing Dr. Sarah Myers, Assistant Professor of History at Saint Francis University (PA) and Director of the Keirn Family World War II Museum, about the fascinating history of the U.S. Women’s Army Corps. To learn more about the film, go check out my media production page. At the 2018 Broadcast Education Association Convention, I had the honor of receiving the Leibner Cooper Grant for Creative Productions on the History of Media. Huge thanks to BEA, the Library of American Broadcasting Foundation, and the Leibner Cooper Family Foundation for their generous support! At the 2018 Tally Shorts Film Festival, I enjoyed serving as moderator for a panel discussion on the importance of short film with faculty from Florida A&M and the FSU College of Motion Picture Arts. 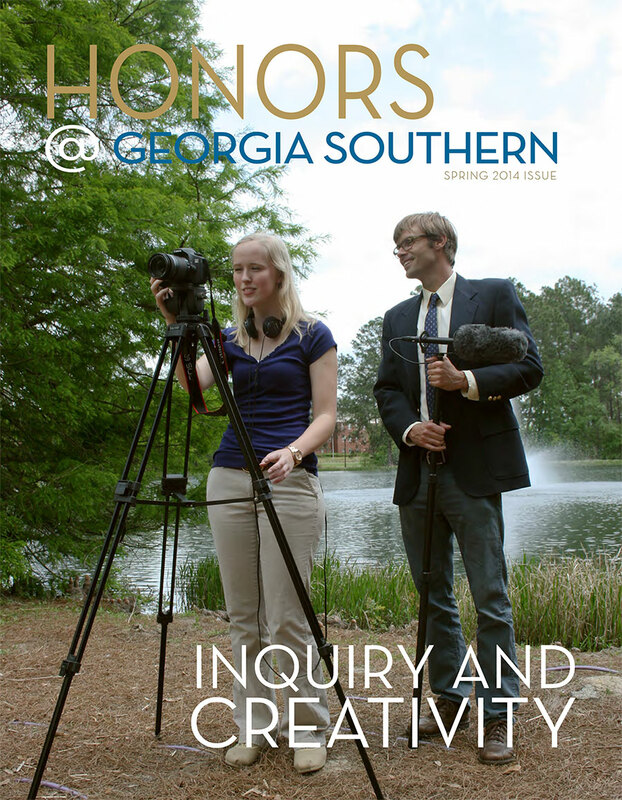 My honors student, Mallory Taylor, and I made the cover of Honors @ Georgia Southern. Mallory produced an excellent short documentary film, titled Inside Out: Reexamining Stereotypes from Behind Bars, for her Honors Thesis project. This is a series of photos taken in 2009 by Mike Oniffrey on the set of Roy Underhill’s nationally broadcast how-to series, The Woodwright’s Shop. I worked on the show as a Camera Operator and Assistant Lighting Director. The production team is made up of serious and experienced professionals who also know how to have fun, and working with them was a blast.